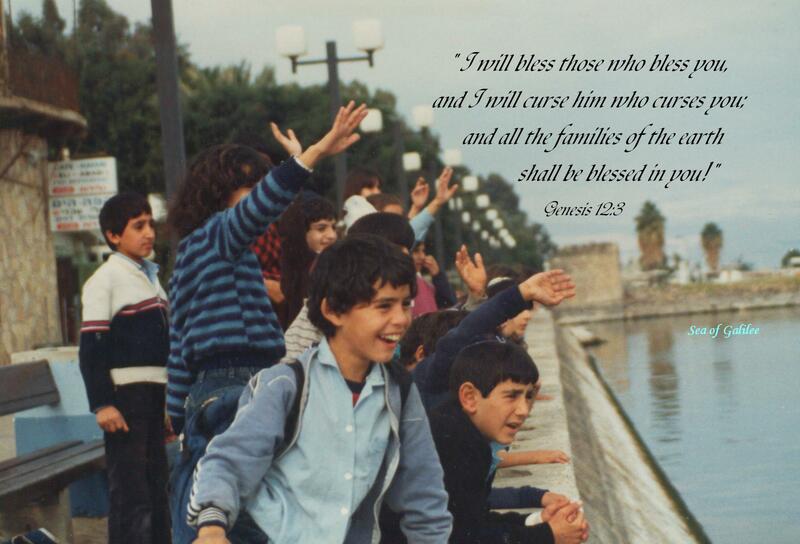 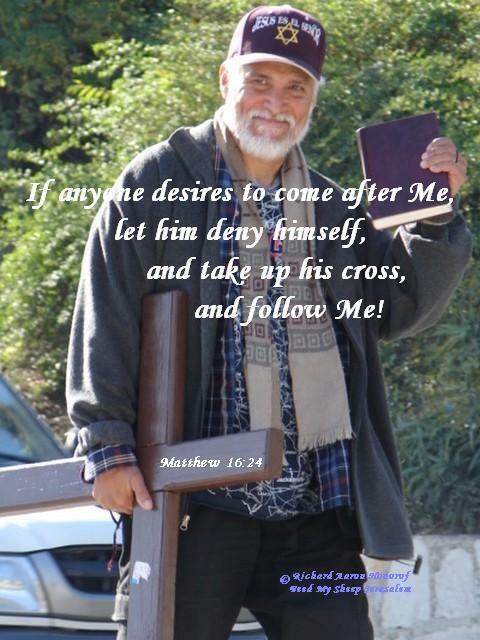 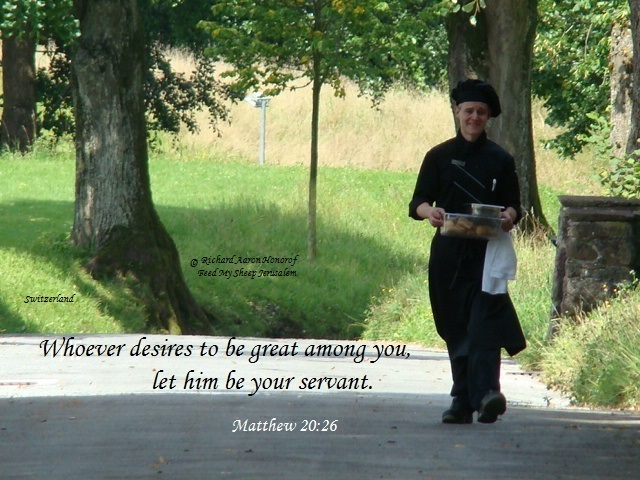 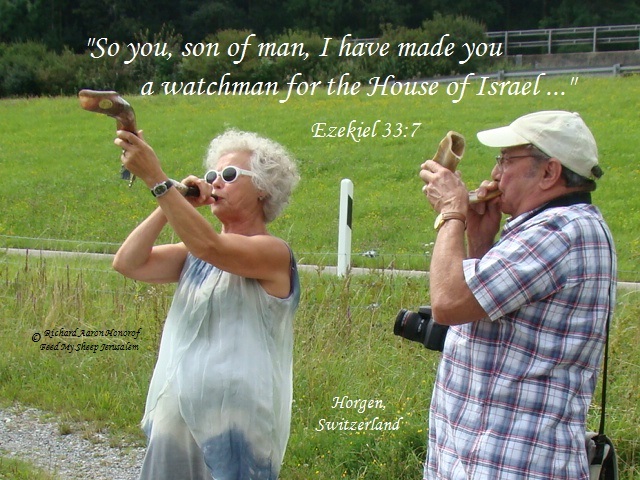 Picture Description: Susanne and myself: Son of man, I have made you a watchman for the House of Israel! 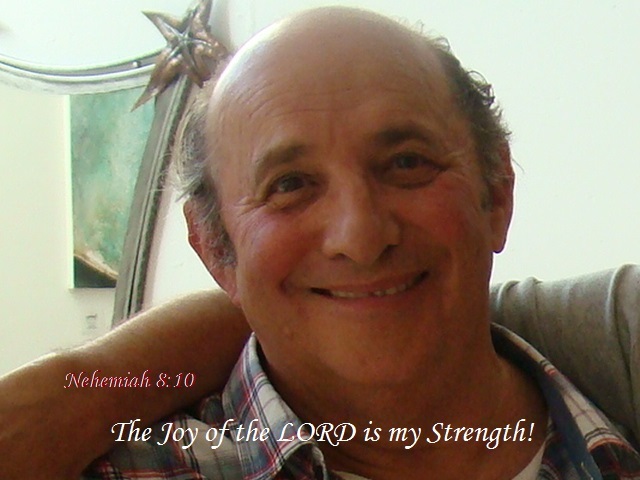 Picture Description: myself, Richard: The Joy of the LORD is my strength! 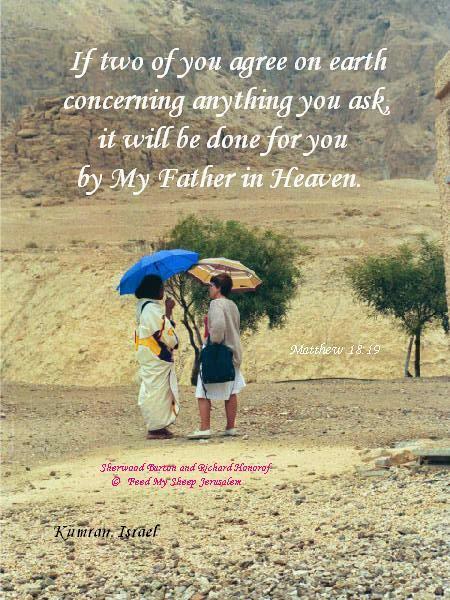 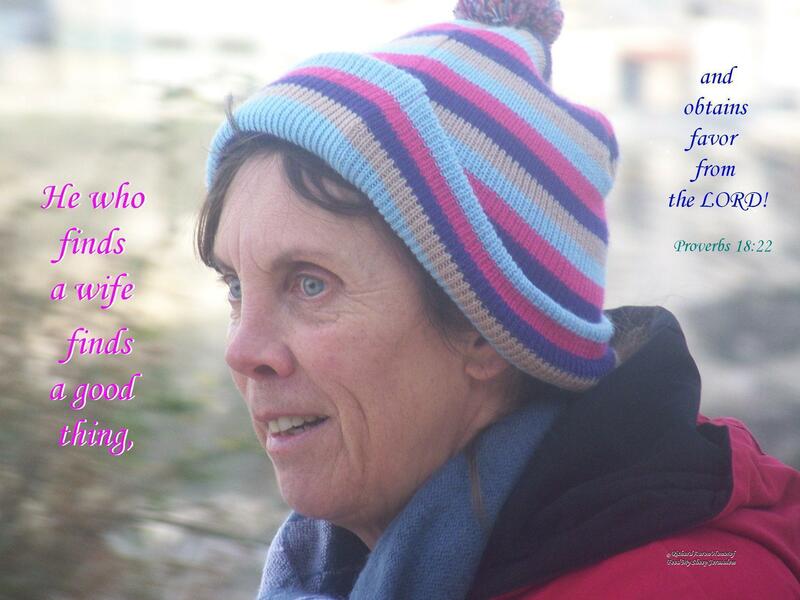 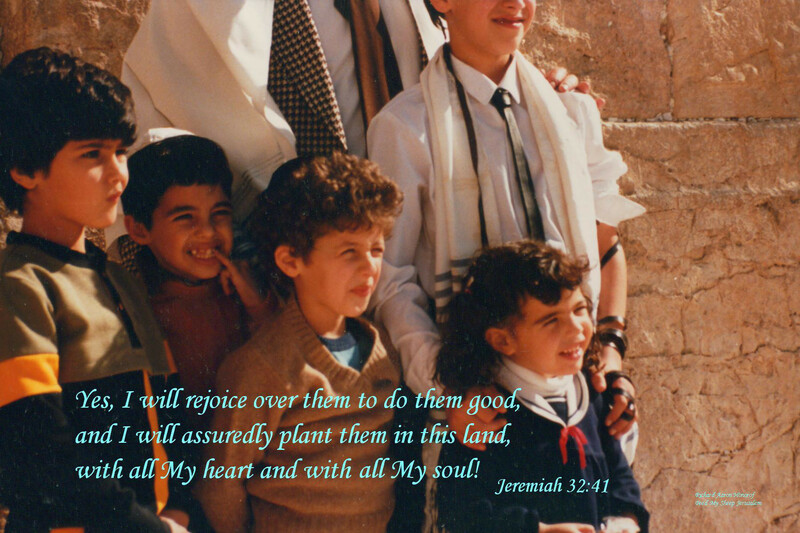 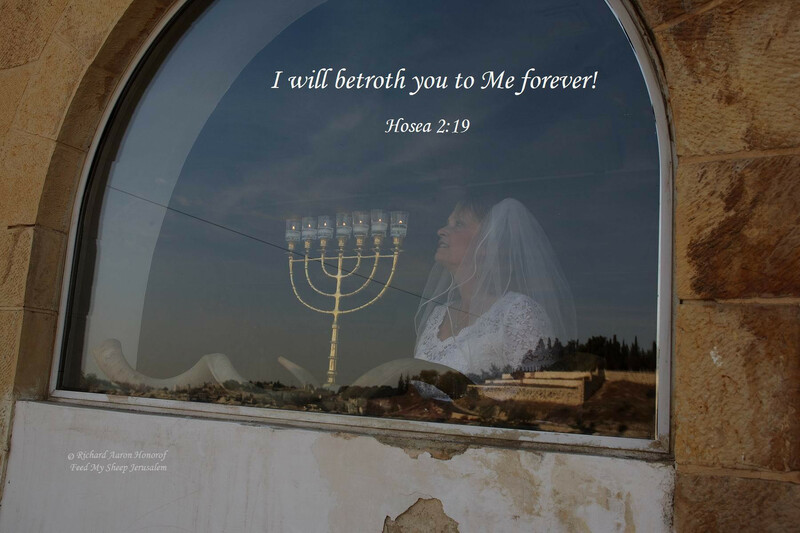 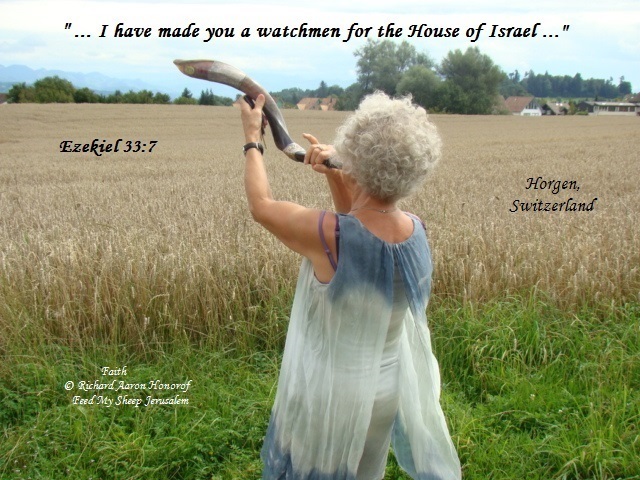 Picture Description: Susanne with shofar: I have made you a watchman for the House of Israel! 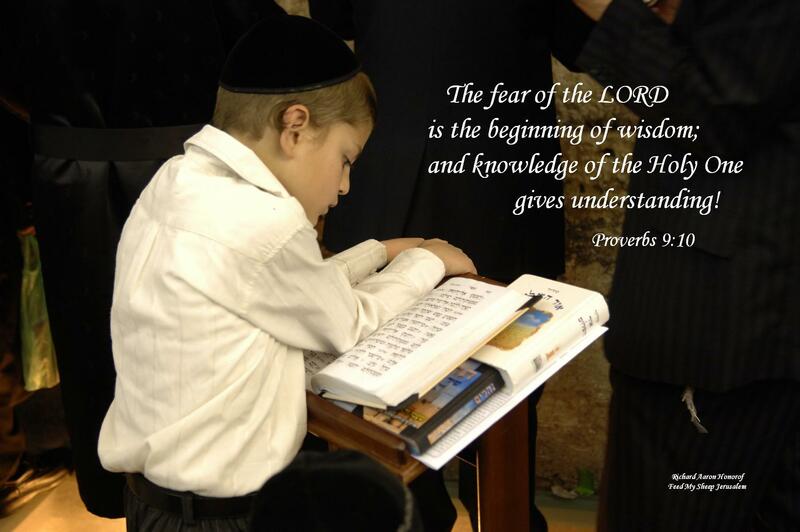 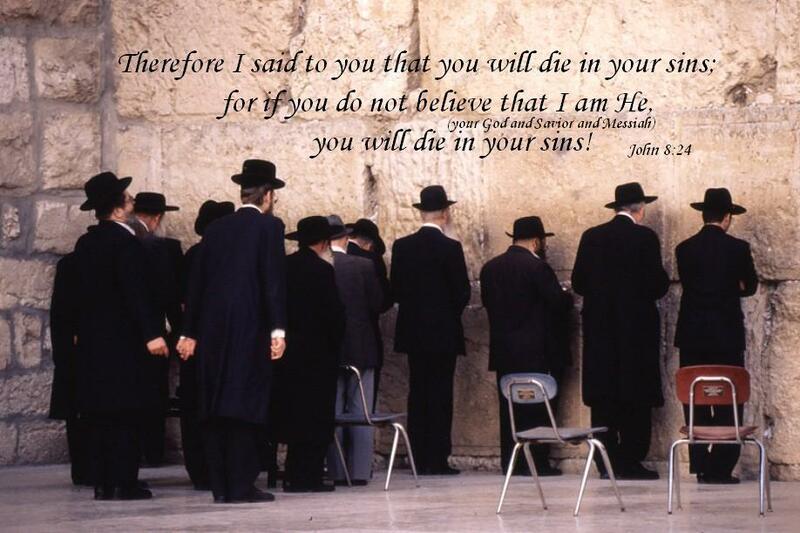 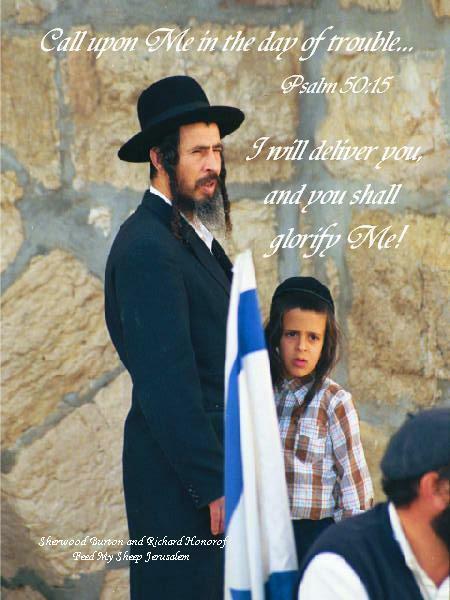 Picture Description: Orthodox Jews at Wailing Wall, If you do not believe that I am He, you will die in your sins. 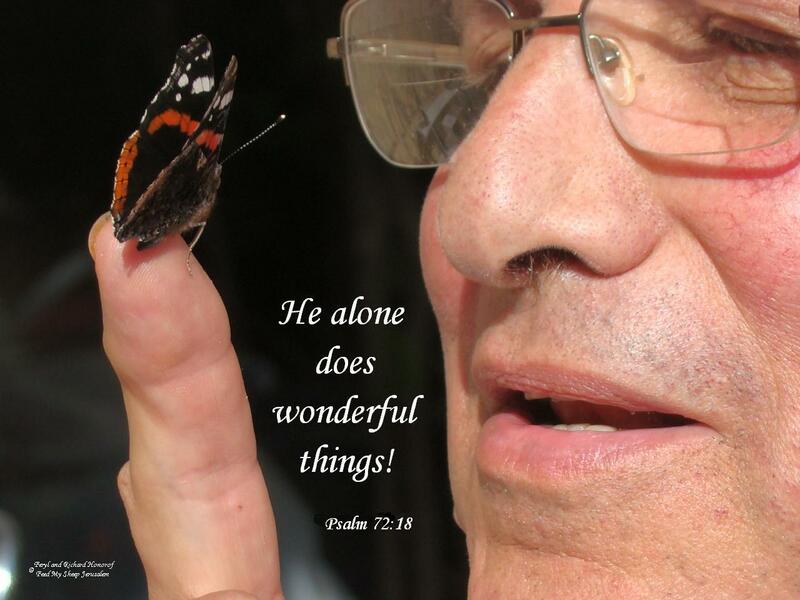 Picture Description: Butterfly and me: He alone does wonderful things. 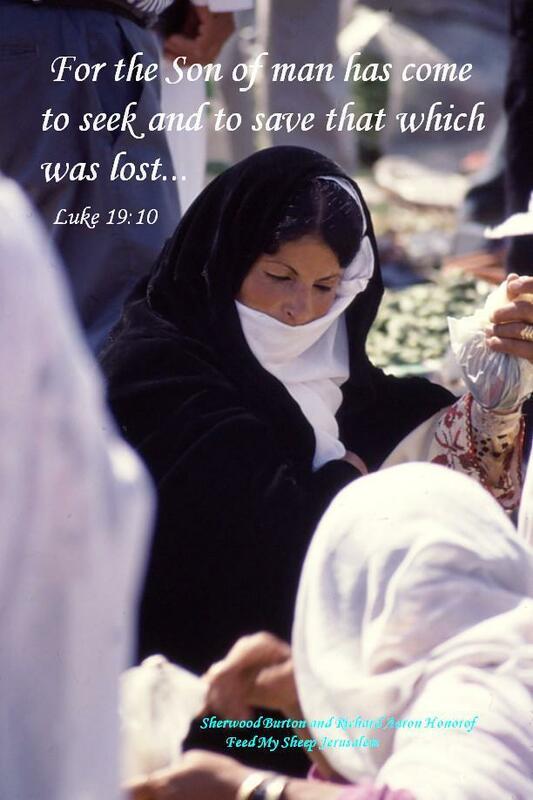 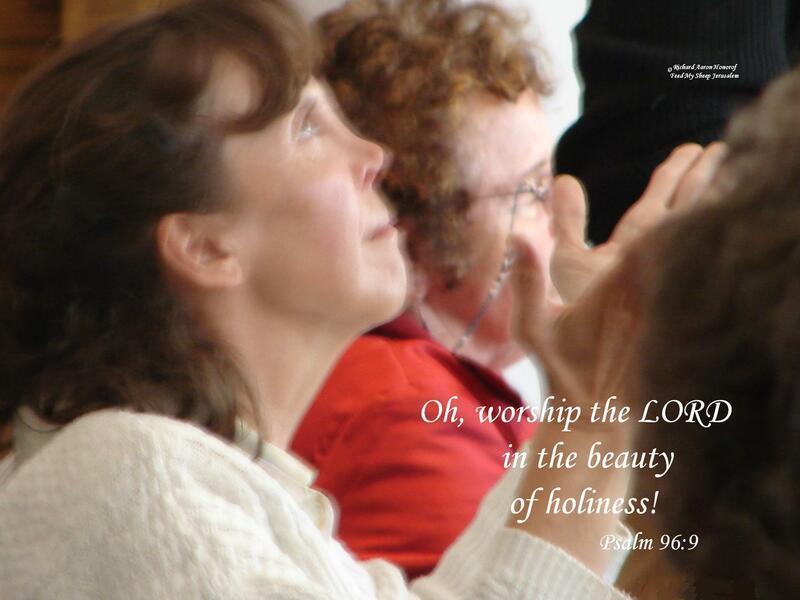 Picture Description: woman in worship: Oh worship the LORD in the beauty of holiness! 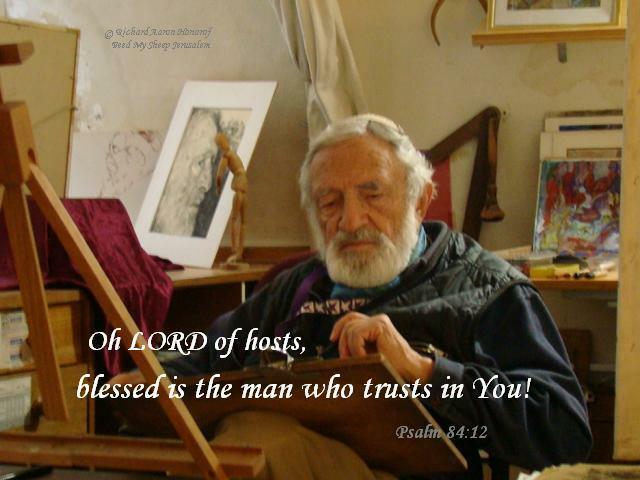 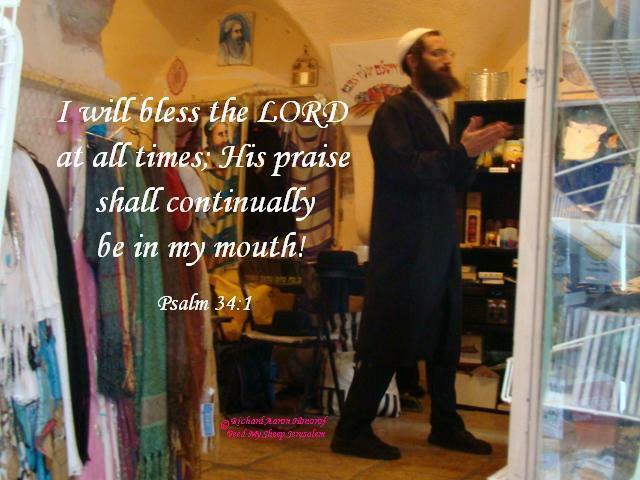 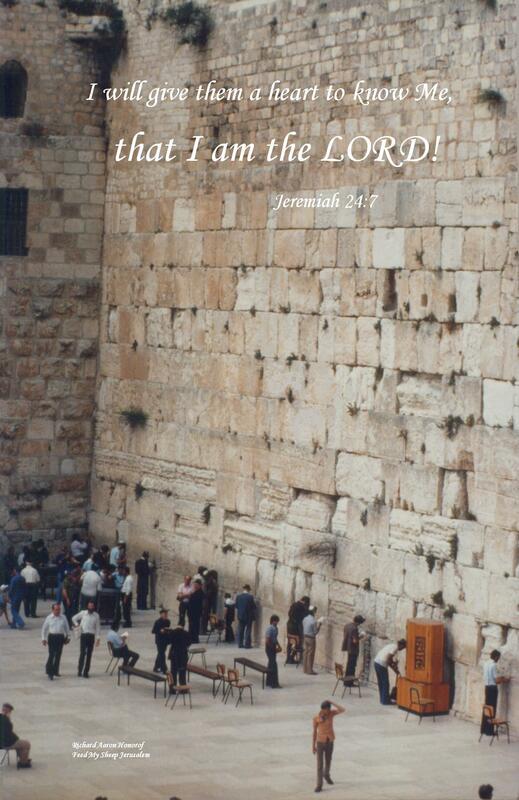 Picture Description: Jerusalem Old City artist: Oh LORD of hosts, blessed is the man who trusts in You! 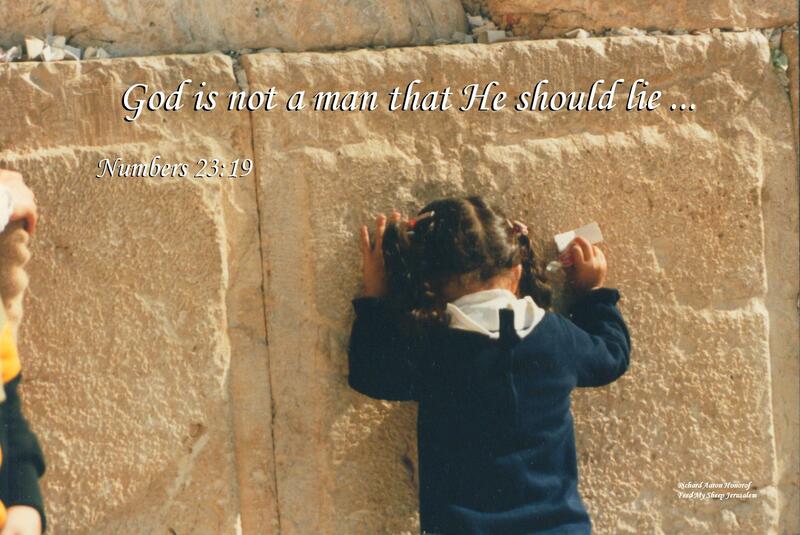 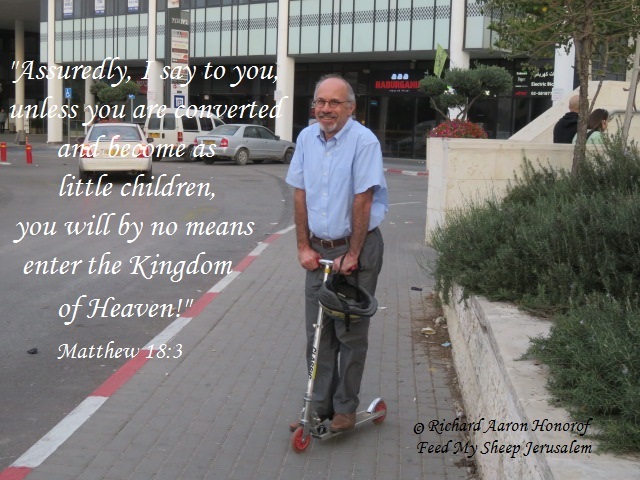 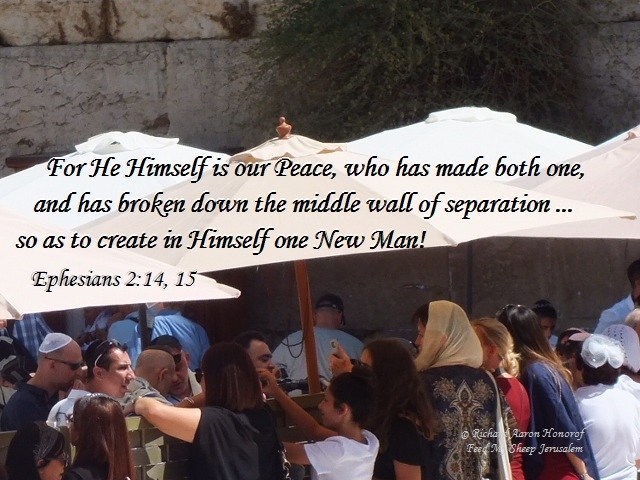 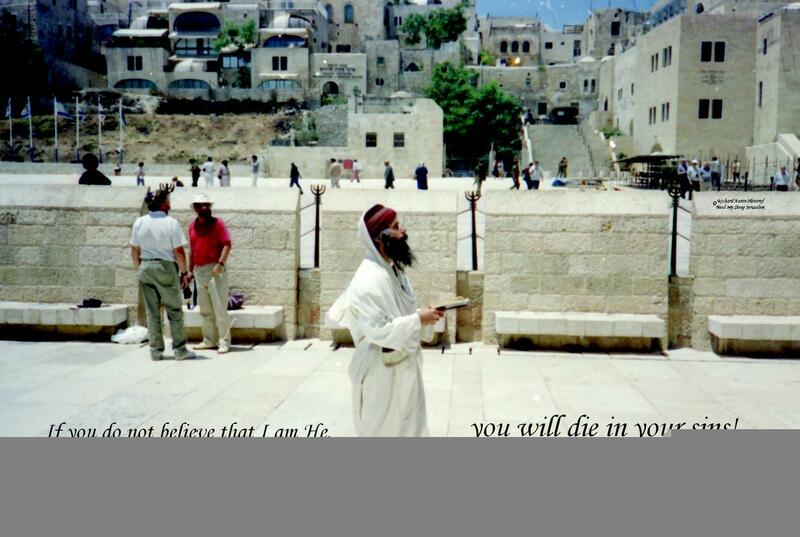 Picture Description: Orthodox man at Wailing Wall: If you do not believe that I am He, you will die in your sins! 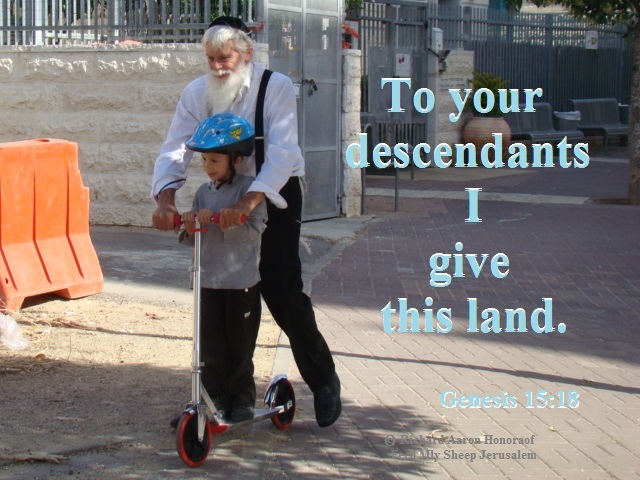 Picture Description: Father and son: This land is Mine! 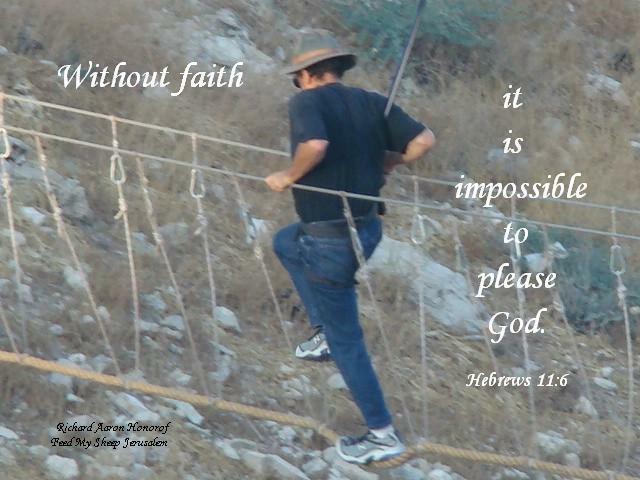 Picture Description: Crossing over: Without faith it is impossible to please God. 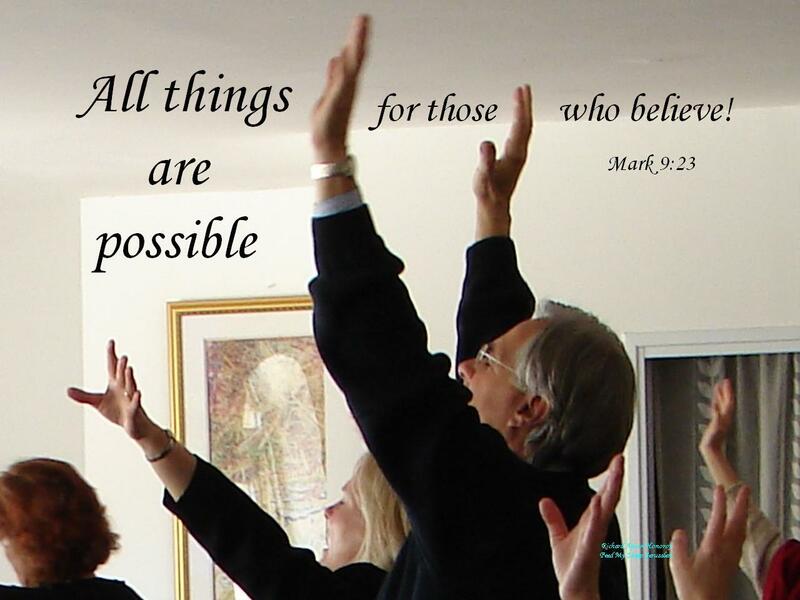 Picture Description: Worship: All things are possible for those who believe! 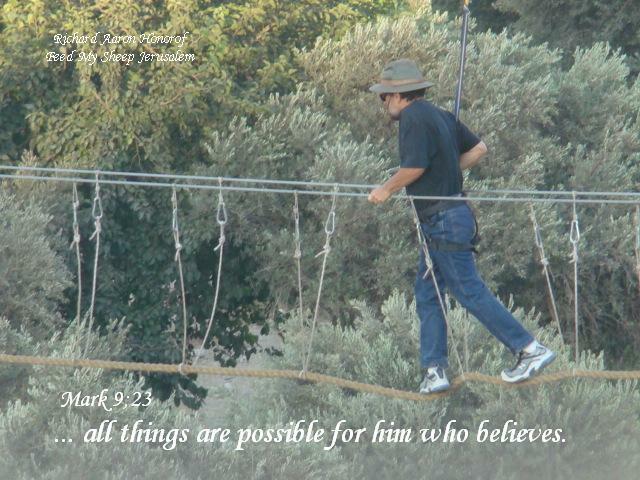 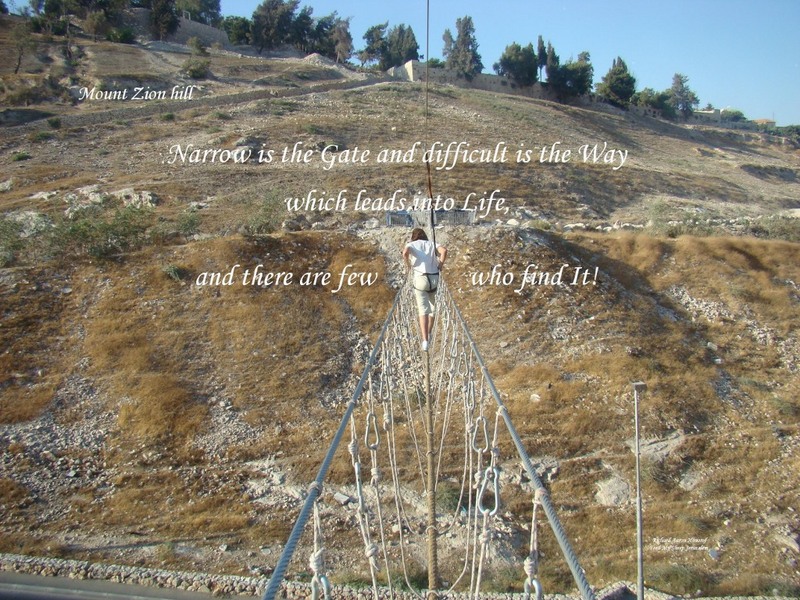 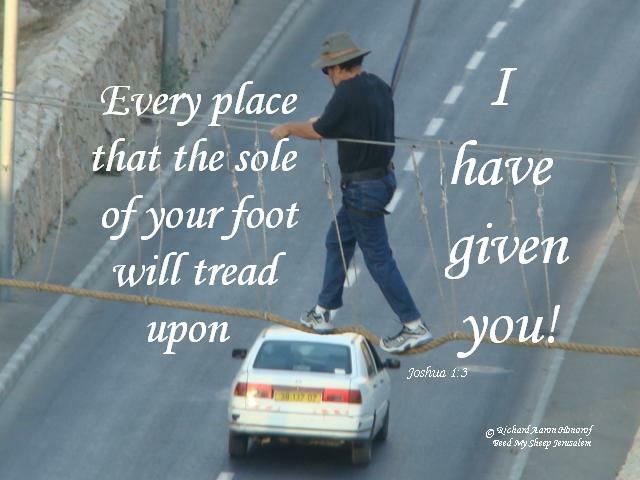 Picture Description: Crossing the bridge to Zion: all things are possible for him who believes. 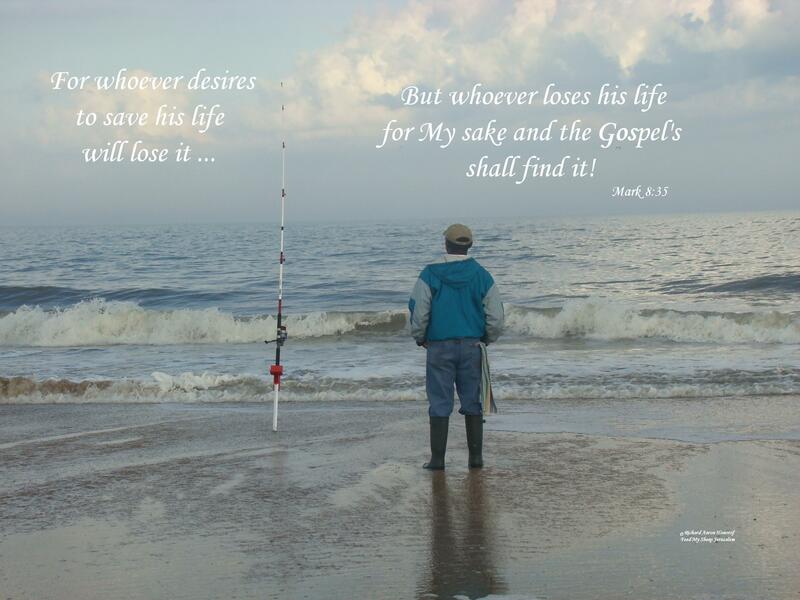 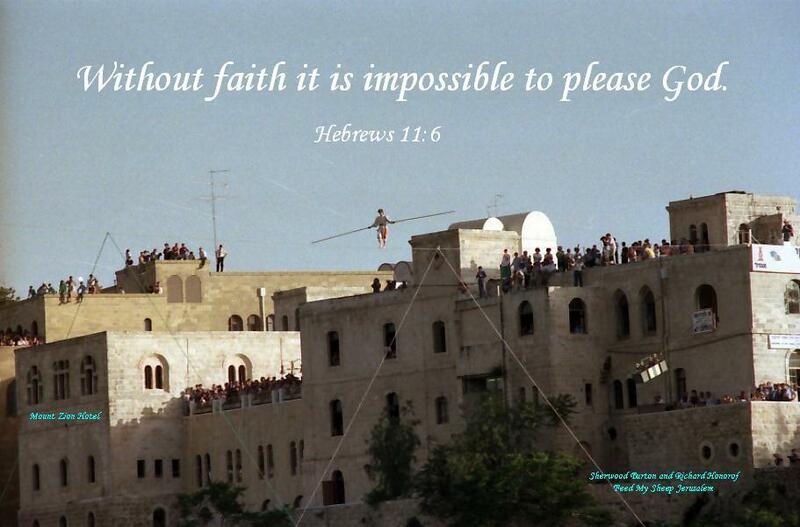 Picture Description: Tight Rope Walker: But without faith it is impossible to please God. 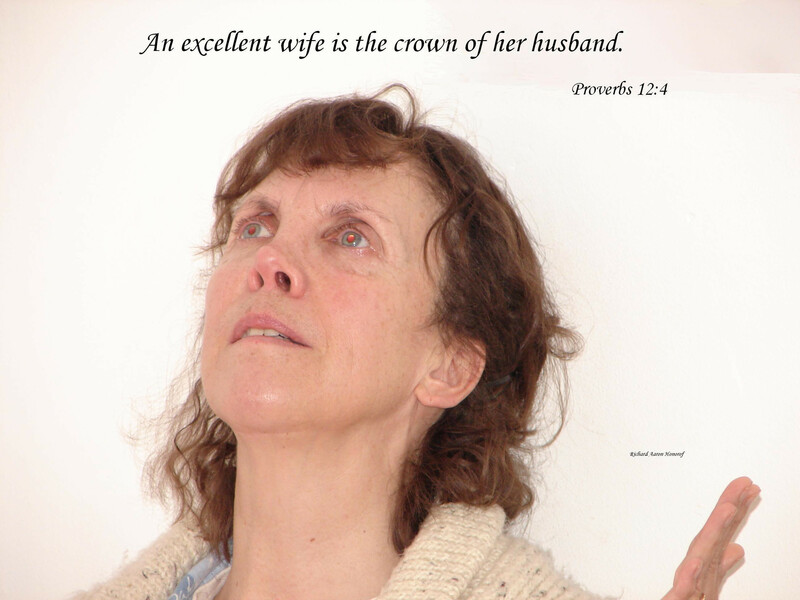 Picture Description: My wife Feryl: An excellent wife is the crown of her husband. 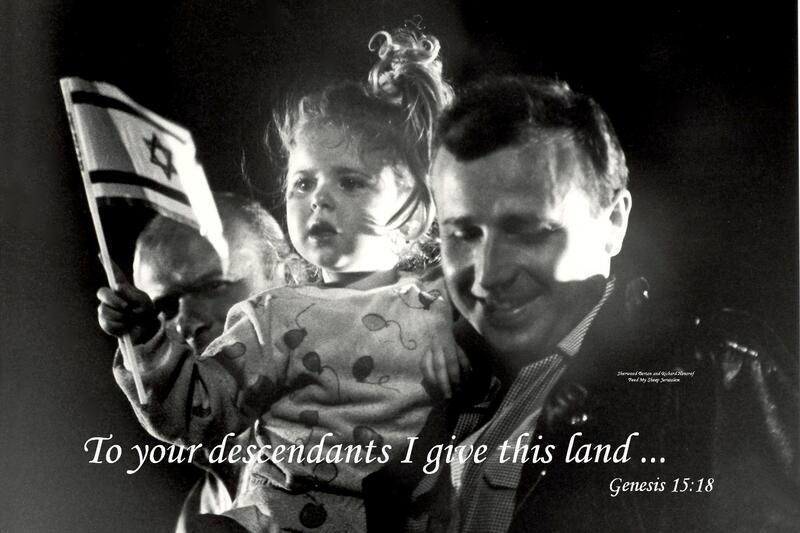 Picture Description: Father and little girl with Israeli flag: To your descendants I give this land! 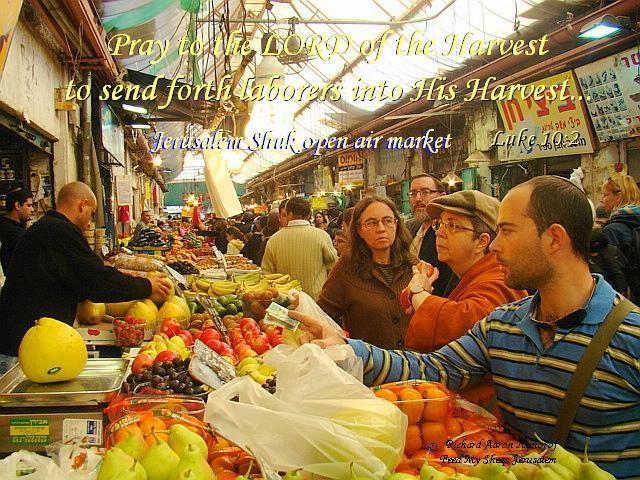 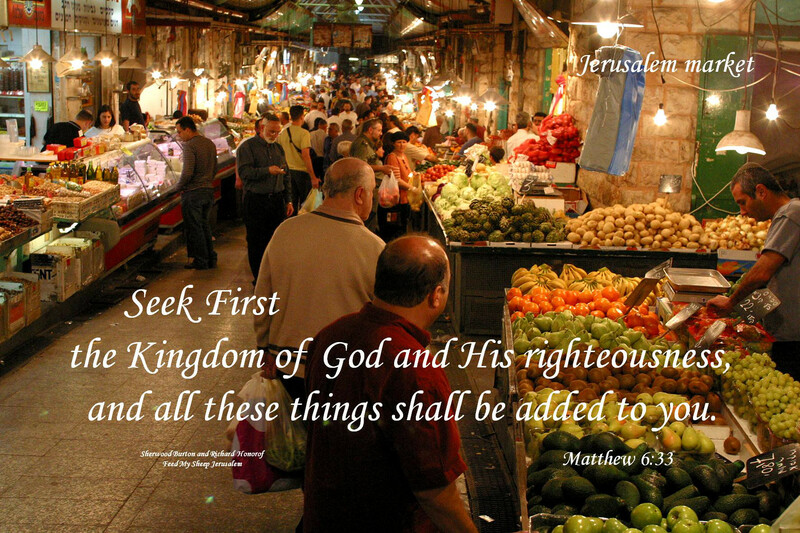 Picture Description: Jerusalem Market: Seek first the Kingdom of God and His righteousness, and all these things shall be added to you. 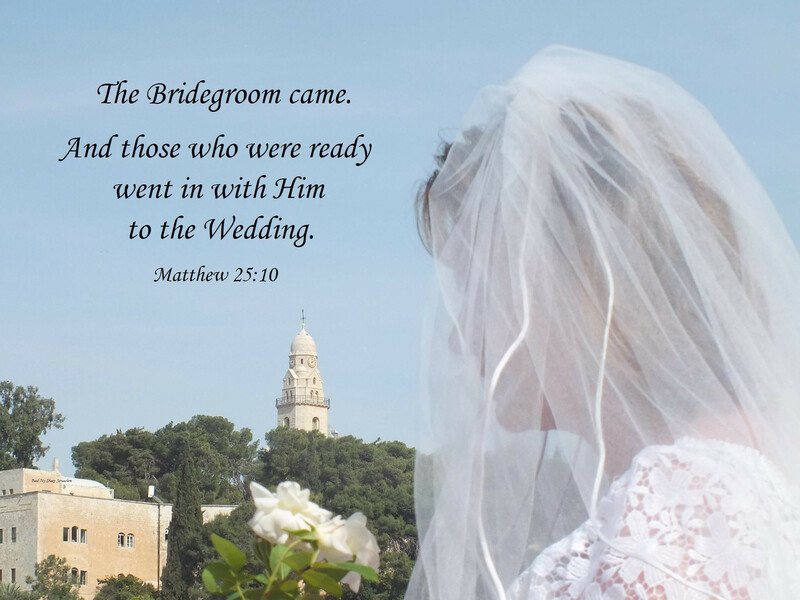 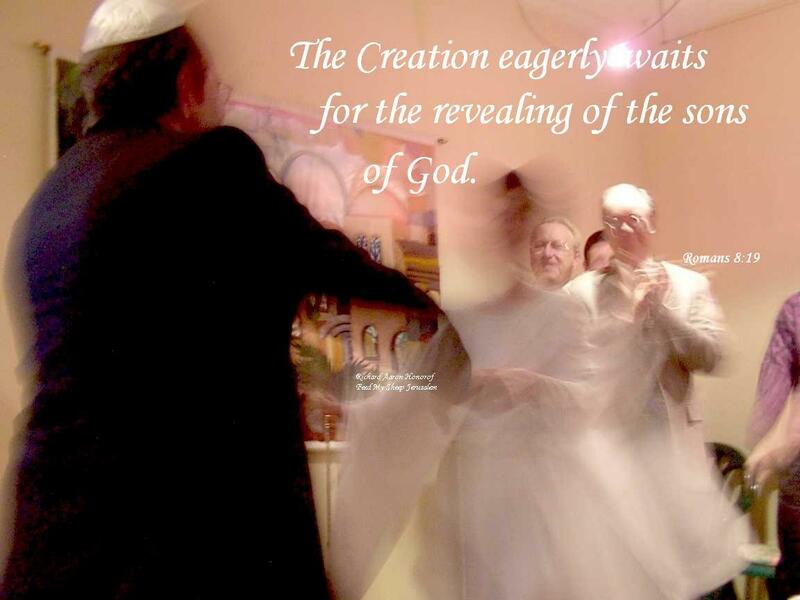 Picture Description: Wedding Celebration: The Creation eagerly waits for the revealing of the Sons of God! Picture Description: Wedding Celebration of Feryl and myself, held in Jerusalem, January, 2002: As a bridegroom rejoices over his bride, so shall your God rejoice over you! 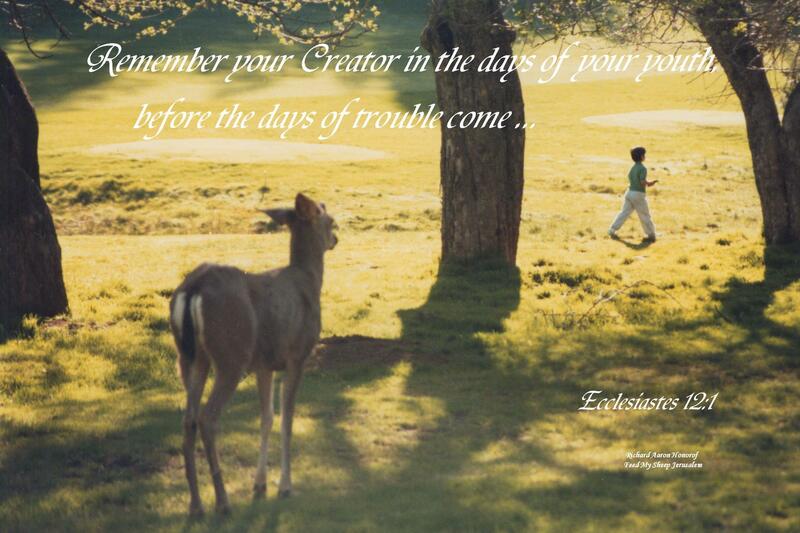 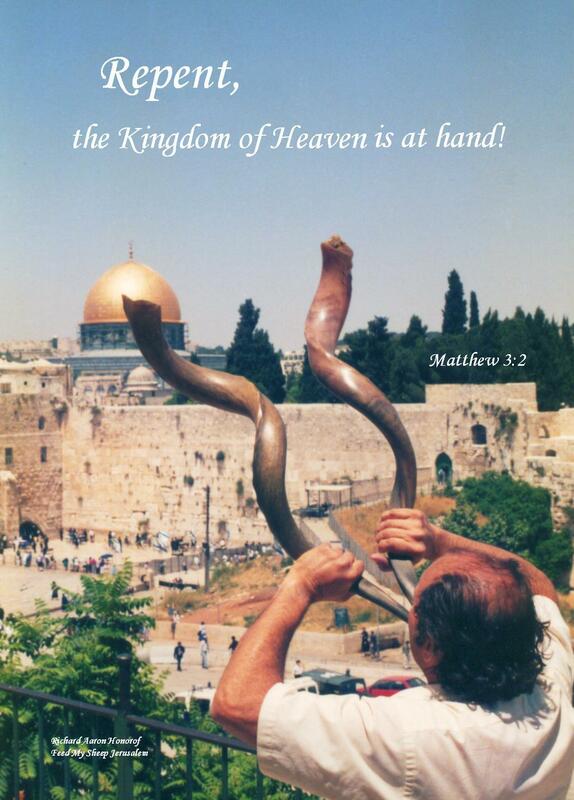 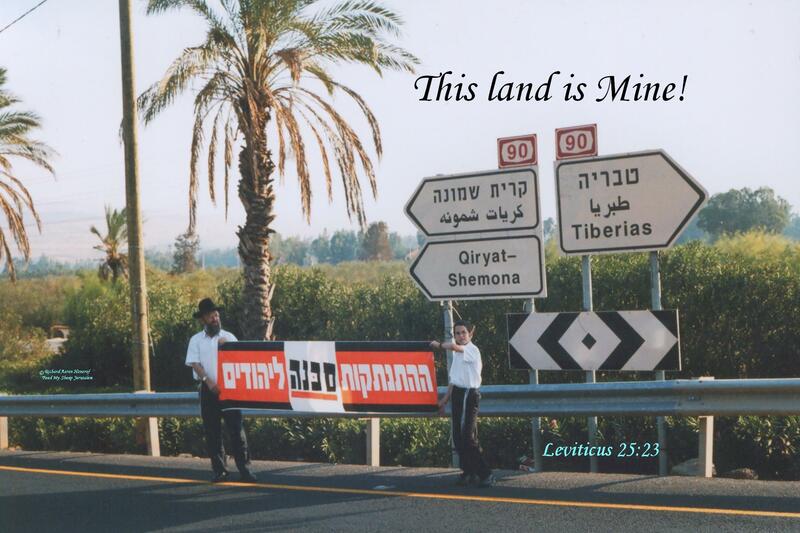 Picture Description: Sounding Two Shofars: Behold, the Kingdom of God is at hand! 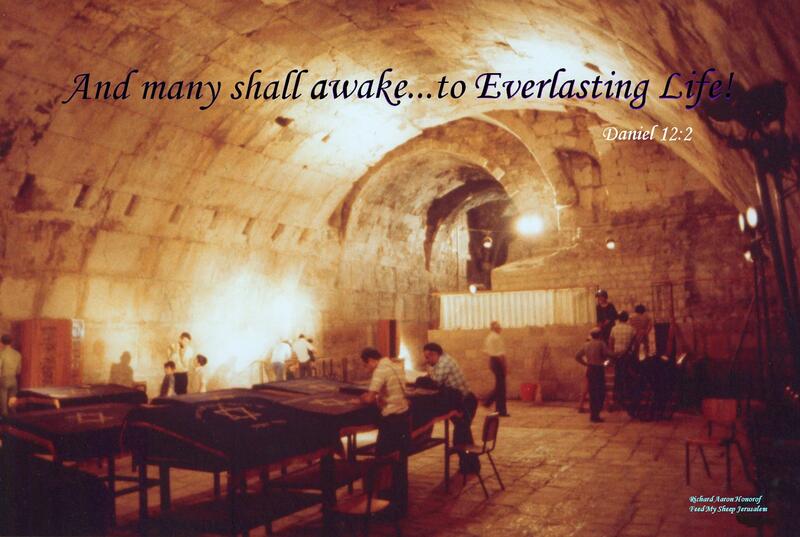 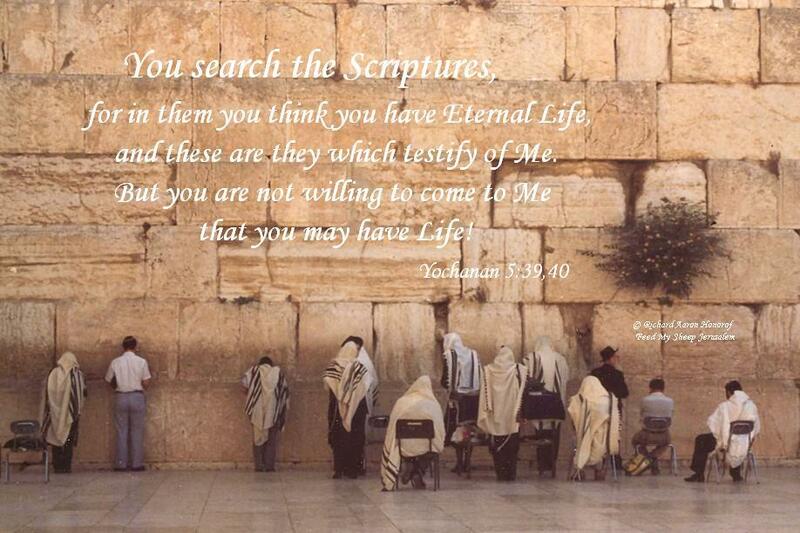 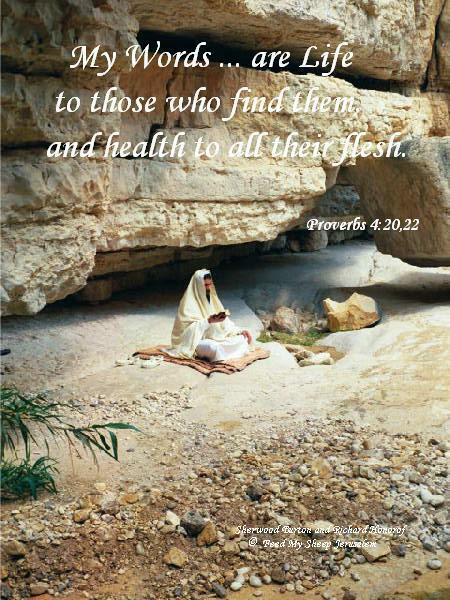 Picture Description: Men's Prayer Room by Wailing Wall: And many shall awake ...to Everlasting Life!